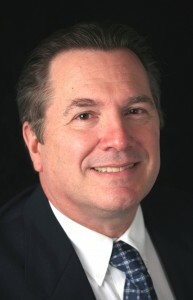 Thomas Lera was appointed the Winton M. Blount Research Chair at the Smithsonian National Postal Museum (NPM) in 2008. He has written over 100 articles and papers which have been featured in leading philatelic journals, like The London Philatelist, The Collectors Club Philatelist, The American Philatelist, The Confederate Philatelist, and the 2003, 2009, 2011 and 2015 Congress Books. In 2009, he began developing the NPM Philatelic Forensic Laboratory by purchasing, from a grant award, a Foster & Freeman VSC 6000. In the following years, from additional grant awards, he has been able to obtain a TMI micrometer, a Bruker XRF Spectrometer and a Bruker FTIR spectrometer. The NPM is known to have the best museum philatelic scientific laboratory in the world for the study paper, ink and color. Over 100 scientists and researchers from around the world have come to the museum to use the equipment. Tom has served as co-chair of the Winton M. Blount Symposium since 2008 and co-chair of the First and Second International Symposiums on Analytical Methods. He is a national philatelic judge, was a past president of NAPEX, and is a member of several philatelic societies. In 2012 he became a Fellow of the Royal Philatelic Society London. In 2015 he was inducted in The APS Writers Hall of Fame and in 2016 is was award the Distinguished Philatelic Texan Award. When not working at the museum, he is active in the preservation and conservation of caves and bats. In 2006, he was appointed by Governor Mark Warner as Chairman of the Virginia Cave Board and has been the Administrative Vice-President of the National Speleological Society (NSS) receiving their prestigious individual Conservation Award. He is a fellow of the NSS and The Explorers Club of New York. He holds degrees from the University of Illinois and the University of Pennsylvania.